Q: What kind of background is suitable for admission to the PhD program in Pharmaceutical Sciences at UW-Madison? A: To sustain an innovative research environment, the Pharmaceutical Sciences PhD Program is committed to admitting students from diverse scientific and personal backgrounds. As the range of faculty expertise is extremely broad across the Pharmaceutical Sciences Division—representing the biological, chemical, and engineering sciences—prospective students with undergraduate or masters degrees in the physical or biological sciences, engineering, pharmacy, and related fields are encouraged to apply. Backgrounds that include a strong foundation in physical, organic, and bioorganic chemistry are highly valued. On the biological side, biochemistry, genetics, molecular biology, pharmacology, and toxicology are common areas of undergraduate coursework. In addition, chemical and biomedical engineering, as well as materials science, play a strong role in the research in the division. Students with degrees in pharmacy (PharmDs) and enthusiasm for pharmaceutical research are also encouraged to apply. Beyond students’ academic course of study (academic performance and level of academic difficulty attempted), there are multiple factors for admission, including GRE scores, communication skills, leadership ability, the personal statement (reasons for wanting to attend graduate school), and letters of recommendation. Sustained involvement in quality laboratory research as an undergraduate is highly valued by the admissions committee. Together, this information helps guide the committee in selecting individuals with scientific competence, a passion for research, and demonstrated personal initiative that are strong positive predictors in a graduate research environment. Q: I have a BS degree in chemistry/chemical engineering. Would Pharmaceutical Sciences be an appropriate graduate field to pursue? A: Yes, definitely. By pursuing graduate study in pharmaceutical sciences, chemistry and chemical engineering, graduates can apply their unique training, talents, and knowledge into applications at the chemistry/biology interface, being involved in interdisciplinary research in drug discovery, pharmacology, and drug targeting. Pharmaceutical sciences is a highly collaborative field, requiring input from the both physical and biological points of view. Pharmaceutical sciences research involves significant contributions in synthetic, physical, and analytical chemistry. Q: What prerequisites are required? Do I need a master’s degree before I can apply? A: There are no specific prerequisites for admission to the Pharmaceutical Sciences PhD program, but a bachelor’s degree is required. The answer to the question above (What type of background is suitable…?) is a comprehensive comment on what type of background and qualities are desired in a competitive applicant. A: The full process is outlined on the Apply page. Q: What are the typical performance measures (GPA, GRE) of students who are offered admission to the Pharmaceutical Sciences PhD Program? A: The mean undergraduate GPA for students (both domestic and internationals) offered admission in the 2019 application cycle was approximately a 3.61 on a 4.0 scale. In the GRE Revised General Test, the average performance for students offered admission in the 2019 cycle was approximately the 71st percentile (Verbal Reasoning), 78th percentile (Quantitative Reasoning), and 57th percentile (Analytical Writing). Note that there is no GRE minimum score for admission, but the scores given above are considered competitive. Q: How many applicants are accepted annually? A: The number of accepted students varies year-to-year and depends upon the applicant pool quality and how many students the division can place into research opportunities. Typically, 30 to 45 students are offered admission each year. Q: What is the program’s curriculum? A: A detailed description can be found in the Course Requirements section of the Pharmaceutical Sciences Graduate Student Handbook. In general, the program’s curriculum is built upon a core of classes that expose students to foundational principles in drug action, delivery and discovery. Beyond the core requirements, students work with their thesis advisor and committee members to determine course selections best suited to one’s research direction and desired research expertise. Course work is normally completed in 1.5-2 years (3-4 semesters). Q: What is the cost of study? What financial support is available? A: There is no direct tuition cost to a student pursuing a Pharmaceutical Sciences PhD. Rather, students receive a stipend (via research assistantships, teaching assistantships, or fellowships) and health insurance. The cost of tuition is assumed first by the School of Pharmacy and later by the faculty advisor for whom the students work. Students are automatically considered for School of Pharmacy fellowships upon admission to the School. For details, see the Financial/Benefits section of the Pharmaceutical Sciences Graduate Student Handbook. Q: As a graduate student, what are my housing options? A: The Pharmaceutical Sciences Division is located within the UW-Madison School of Pharmacy (SoP), adjacent to the University of Wisconsin Hospital & Clinics on the west side of the 900-acre UW campus. Some graduate students reside in facilities of the University Apartments community. This community serves graduate students, student families, academic staff, and faculty at UW-Madison and is comprised of three distinct “neighborhoods”: Eagle Heights, University Houses, and Harvey Street Apartments. Each neighborhood has its own architecture and style, but all are served by the same staff, and all provide access to services and programs. When applying to live in University Apartments (all conveniently in close proximity to the SoP), you may apply to one or more of the neighborhoods, depending on your eligibility for each area. Many other non-university owned apartments are available within walking distance of the School as well. Most graduate students live in the immediate area and commute via bicycle or bus. The UW’s Campus & Visitor Relations is the central Campus Area Housing Office for the University of Wisconsin-Madison, serving multiple campus populations, including students. See http://campusareahousing.wisc.edu. Q: What if I’m not a United States resident? A: We strongly encourage talented international students to apply. We are committed to maintaining diversity in our student body. 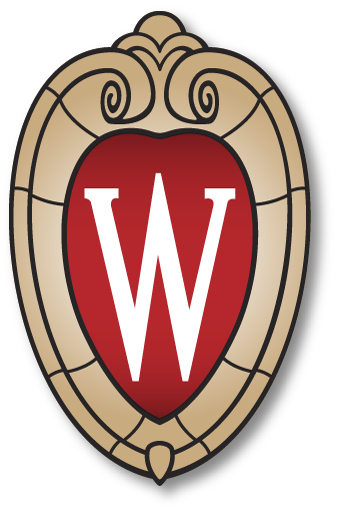 All applicants (foreign and domestic) must meet the Admission Requirements of the UW Graduate School. An excellent resource is “A Perspective on Graduate Admissions for International Students” (see http://www.grad.wisc.edu/admin/gradcoordinators/iadmiss/perspec.html). UW-Madison is a vibrant international community; with many Campus Resources (see https://grad.wisc.edu/current-students/) for graduate students (e.g., Multicultural Graduate Network; Graduate Student Professional Development; MentorNet, International Student Services), there are multiple ways to expand your UW-Madison experience socially, culturally, and intellectually beyond the bounds of academia. Note that the Pharmaceutical Sciences Admissions Committee requires applicants whose native language is not English or whose undergraduate instruction was not in English to submit TOEFL (Test of English as a Foreign Language) scores. TOEFL is an English proficiency test. Q: Where do students go after graduation? A: The most common first position, post-PhD, for recent Pharmaceutical Sciences graduates has been a scientist type title in industry, primarily in pharmaceuticals or biotechnology. Other parts of the economy (e.g., biomaterials; chemical; cosmetic; consumer products; healthcare) have employed graduates, commonly in scientific titles, but also in regulatory and business roles. Contract research/manufacturing organizations are yet another type of employer. Postdoctoral research positions, typically in academia, but occasionally in industry or government are also common. Some graduates have secured faculty positions at smaller colleges, typically postdoctoral training. “Nontraditional” paths include medical writing, clinical chemistry fellowships, and data science-focused positions; pursuing further education via medical or law school captures initial graduate paths for the last decade. A detailed list is available at Employers of Recent Pharmsci Graduates. Q: How does the PhD in Pharmaceutical Sciences differ from other School of Pharmacy degrees such as the PharmD (Doctor of Pharmacy)? A: A PhD student is a graduate student; a PharmD student is considered a professional student (at Wisconsin, professional students include student pharmacists (PharmDs), medical students, law students, nursing students, and students in the School of Veterinary Medicine). The PhD in Pharmaceutical Sciences is intended for someone pursuing a career in pharmaceutical research; the PharmD degree allows one to pursue a career as a licensed pharmacist. The PhD degree is considered a research doctorate; the PharmD is a professional doctorate. Q: What is the average time span for one to complete a Pharmaceutical Sciences PhD? A: The average time to completion for the PhD in Pharmaceutical Sciences, as measured for those who were awarded degrees in the 2015-18 time span (28 graduates), was 5.26 calendar years. The faculty have reduced the time to degree by simplifying program requirements: only one preliminary examination must be passed to achieve dissertator status, and the program no longer requires a PhD “minor” due to the interdisciplinary nature of study in pharmaceutical sciences. Q: What facilities are available for research? A: The Pharmaceutical Sciences Division is housed in Rennebohm Hall, a seven-story, state-of-the-art facility that opened in 2001 and offers 120,000 assignable square feet. The Pharmaceutical Sciences Division comprises floors 4 to 7 of Rennebohm Hall and features 34 laboratories; affiliate Pharmaceutical Sciences graduate faculty are housed at other campus buildings. Located on the northwest edge of campus, Rennebohm Hall is in close proximity to the Health Sciences Learning Center (home of the UW School of Medicine and Public Health), UW Hospital and Clinics, the UW Institute for Clinical and Transational Research (ICTR), the Waisman Center, the Wisconsin Institutes for Medical Research (WIMR), the UW Center for Human Genomics and Precision Medicine, the School of Veterinary Medicine, the School of Nursing, and Ebling Library for the Health Sciences. Many researchers affiliated with Wisconsin’s Carbone Comprehensive Cancer Center work within these adjacent facilities. Exceptional research facilities and equipment are highlighted by the school’s Analytical Instrumentation Center (AIC), comprising mass spectrometry, nuclear magnetic resonance, spectroscopy, and spectrophotometry facilities. The AIC’s high-end instrumentation expedites the isolation and full structural elucidation of small molecules. These chemical entities can be subsequently evaluated via high throughput screening towards lead generation, or specifically utilized to prove novel biological phenomenon toward in-depth mechanistic study. The division offers centralized facilities for computer-aided drug and catalyst design, real-time PCR, gene array detectors, gas chromatographs, high-pressure liquid chromatographs, cell culture, ultra-centrifuges, and scintillation counters. The school’s Lenor Zeeh Pharamceutical Experiment Station is a not-for-profit, self-sustaining center of expertise serving faculty researchers across the UW–Madison campus as well as private-sector drug product development. The station provides laboratory services related to compound physical/chemical characterization and basic formulation development to support preclinical development of promising drug candidates and other unmet pharmaceutical-related needs. Pharmaceutical sciences graduate students are eligible to participate in summer internships at the station. Pharmaceutical Sciences also houses the Medicinal Chemistry Center (MCC), whose mission is to provide drug discovery expertise to the UW medical commmunity and drive the translational research at UW–Madison through designing and synthesizing novel small molecule based therapeutics. Pharmaceutical Sciences faculty direct the MCC.